Today is a sad day but also a hopeful one. It is sad that there is a legitimate need for us to observe World Suicide Prevention Day (#WorldSuicidePreventionDay, #WSPD, #WSPD15, #NSPW, #NSPW15, #suicideprevention) and that as you read this blog post, there are many people around the world who feel that suicide is the only way of escaping lives that have come to feel like a living hell. That said, today is also imbued with great hope. On World Suicide Prevention Day, awareness is raised about the prevalence of suicide and also that there are many readily available solutions and support available for those who require them. Suicide is not the only option you have if you are feeling depressed and contemplating taking your life. If you are reading this and feel like you have no other option, I want you to know that while it may feel that way right now, that it really is not the case. When depressed, we tend to think negative thoughts that leave us feeling like we are failures, that the future looks gloomy and hopeless, that others do not care about us or think terrible things about us, and that we will continue to feel and think like this indefinitely. These negative automatic thoughts which take place without our choosing are a well-documented aspect of depression and this type of thinking is one of the points of focus for psychologists when counselling someone that is depressed. The unfortunate thing is that when one is depressed you feel that these negative thoughts are accurate interpretations of reality – like someone with impaired vision may believe that the horizon is blurry and too far away to see clearly when they actually need glasses. Depression is not only about negatively distorted thinking but physical feelings we experience in our body. Unfortunately, suicidal thinking, planning and actually attempting suicide is also a part of depression. It is important that you know this so that you do not think that there is something wrong with you as a person but that you realise that suicidal thinking is a symptom of depression (a legitimate illness like any other physical illness such as diabetes or heart disease). The positive news is that depression is a highly treatable illness. There are a variety of treatments and supportive structures that you can tap into. You are not alone! If you are feeling depressed or suicidal, I want you to reach out to someone that you trust. That could be a friend, teacher or lecturer, a sibling or other family member, or your family GP. I know that you might feel ashamed and scared to tell someone about what you are going through right now but in this case a problem shared is a problem halved. If reaching out to people you know does not feel like an option for you right now, I want to encourage you to Google a depression or suicide helpline located in your country or area, or to make an appointment with a mental health practitioner (such as a clinical social worker, counsellor, clinical psychologist, licensed mental health worker, or psychiatrist) based in your area. Hang in there. Reach out. Don’t suffer in silence. There is so much to live for but sometimes it is near impossible to see this when you are in the grips of depression. 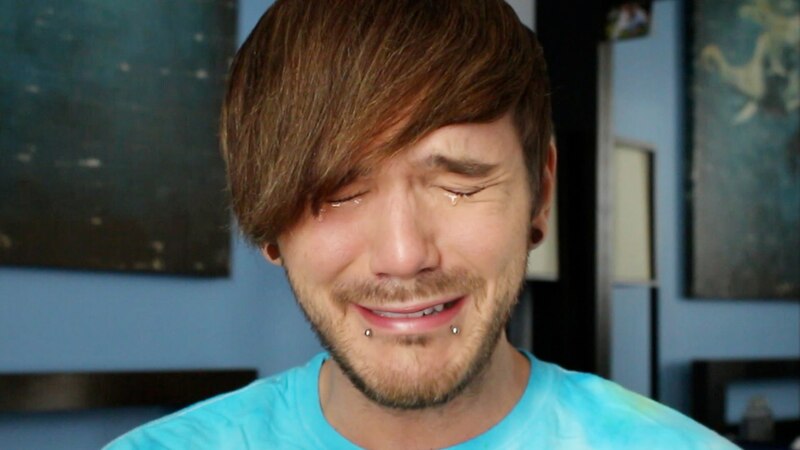 Youtube video: Earlier this year, Matthew Lush (@MatthewLush), made a vlog about attempting suicide and encouraged all his fans to reach out to loved ones for support if they ever found themselves in the same position. Fred Walter is a Johannesburg-based clinical psychologist offering short and longer term therapy to adolescents and adults.